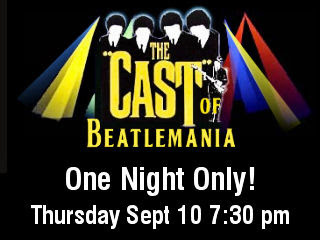 The Soo Theatre Project proudly presents The Cast of Beatlemania on Thursday, September 10th at 7:30 pm. 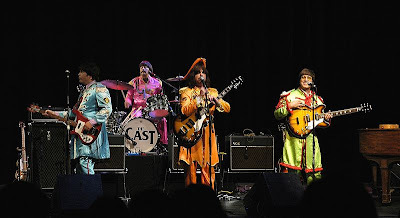 The Cast recreates the sights and sounds of The Beatles so faithfully that you will recall when the world was engulfed in the most pleasant fever of all: BEATLEMANIA! In this two-act show, three different costumes coincide with the changing music and times. The show includes such Beatles classics as "I Want To Hold Your Hand," "A Hard Day’s Night," "Sgt. Pepper," "Hey Jude," plus many more of your favorites. The Cast features former members who starred in the Broadway production and have performed in all fifty states and over twenty foreign countries, including Canada, England, Mexico, Brazil and Japan. The Cast were selected from thousands of musicians who auditioned from all over the U.S. for the Broadway show, Beatlemania. Now they bring the magic of The Beatles, live on stage, to you! Don't miss this one-night-only performance at the Soo Theatre, Thursday, September 10th at 7:30 pm. Tickets are $20 and are available in advance or at the door at the Soo Theatre, 534 Ashmun St. in Sault Ste. Marie, Michigan. For further information, call the theatre at (906) 632-1930 or visit our website at www.sootheatre.org. 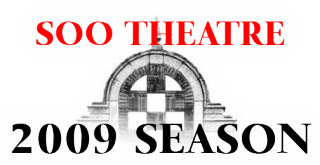 The Soo Theatre Project's Great 2009 Summer Season continues through October 17. Here are the upcoming season events. Stay tuned to our newsblog for more information on these events. Friday, August 28 and Saturday, August 29 at 8:00 pm, and Sunday, August 30 at 2:30 pm. Admission is $16.00 for adults, $15.00 for seniors (62 and up), $8.00 for students (High School & College undergrads ID). Group rates available. The EUP Arts Council production of the Broadway Musical Chicago will be performed at the Soo Theatre August 28, 29, and 30. This production of Chicago is performed by all local EUP talent. Retired Rev. Dave Henderson of the Presbyterian Church in Sault Ste. Marie will be performing on stage in this Broadway classic along with Karen Hughes, Trisha Wells, Dave Rhinard, and many more locally talented performers. Thursday, September 3 at 7:30 pm. Admission is $15 for Adults, $12 for Students and Seniors, and $5 for children 12 and under. Group rates available. Mike Dempsey, originally from Sault Ste. Marie, arranged the music and will be playing piano and singing in the production. Mike's friends for the Soo Theatre performance will feature Karen Hughes, resident opera singer, voice teacher and music director at Soo Theatre Project and STARS; Tenor Eric Shaw who is originally from Sault, Ontario and now sings all over the world and teaches in Toronto; Baritone John Young who sings often in Mike Dempsey's productions; and the talented singers Maureen Delaney-Lehman and Trisha Wells, both whom have music backgrounds and live in Sault Ste. Marie, MI. All of these performers, except John Young have been in previous Soo Theatre Broadway and opera productions. Two local personalities, Tom Ewing and Tom Lehman will be narrating. Thursday, September 10 at 7:30 pm. The CAST features former members who starred in the Broadway production and have performed in all fifty states and over twenty foreign countries, including Canada, England, Mexico, Brazil, and Japan. 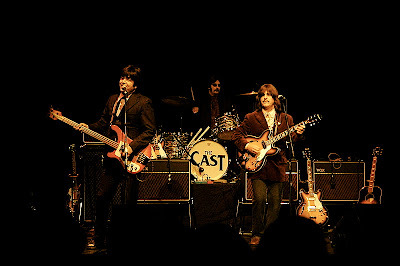 They faithfully re-create a live stage show that reproduces the sights and sounds of the original Beatles. This two-act show presents the Beatles in all of their glory through all of their memorable songs and how they got there. Sunday, September 27 at 2:00 pm. Rotary Show of Shows is a benefit for the Soo Theatre Project. This show includes all local talent from the summer season. Many will grace the stage from dancing, comedy in between and of course music! Please help the Soo Theatre Project by taking a seat, relaxing, and enjoying the entertainment of familiar faces. Friday, October 16 at 7:30 pm. Admission is $15 for adults and $10 for students and seniors. Group rates available. Don Ross and Brooke Miller come back to the Soo Theatre stage. Don Ross, Canadian finger-style guitarist, is noted for the emotion and intensity of his playing as well as his use of extended technique. Ross's music borrows from blues, jazz, folk, and classical music, creating a style that he describes as "heavy wood". Brooke Miller is also a Canadian artist hailing from Prince Edward Island. Once a punk band singer that had opened for such bands as Modest Mouse and Sloan, she shifted to a more mature sound. Miller’s sound has been classified as a more refined simmering that only a few years and intense devotion to both perfecting serious craft and living meaningful life can bring to her and her music. This cult classic film is the first film the Soo Theatre Project has had since it was a movie theatre ten years ago. This 1975 British musical comedy film parodies science fiction and horror films. Still in limited release nearly 34 years after its premiere, it has the longest-running theatrical release in film history. More information will be released closer to the show date. Further information contact the Soo Theatre Project at (906) 632-1930 or visit us online at www.sootheatre.org. The Soo Theatre Project is located on 534 Ashmun Street in downtown Sault Ste. Marie, Michigan. Come, join, and support the Soo Theatre Project! An accomplished pianist, arranger, composer, and director, Mike is using both local and imported talent in his Gershwin show. There will be two narrators, Tom Ewing of WSOO and Tom Lehman, Kinross dentist, who was Emile in South Pacific on the Soo Theatre stage last summer. Dr. Lehman will be playing the part of Ira Gershwin. Singers taking part in the evening's musical extravaganza are: Karen Hughes Beacom, soprano; Trisha Wells, mezzo-soprano; Maureen Delaney-Lehman, soprano; Eric Shaw, tenor; and John Young, baritone. The women all live in this area; Shaw was born and raised here, but lives now in Toronto; and Young is from Toronto and now lives in the Detroit area. Mike Dempsey, who wrote the script and put together an evening of song, will be accompanying everyone on piano and doing some narration of his own. Mike was born and raised in Sault Ste. Marie. He attended St. Mary’s and Sault High Schools, received both bachelor’s and master’s degrees from Michigan State University, and then served in the U.S. Army. He has been the choral director at both Pontiac Central and Pontiac Northern High Schools, and also served as choir director at several Oakland County area churches. In addition, he has been music director for such large-scale musicals as South Pacific, Oklahoma, Carousel, The King and I, The Music Man, Kiss Me Kate, Superman, Charley Brown, Mame, My Fair Lady, Gypsy, Sweet Charity, Lil’ Abner, and The Sound of Music. 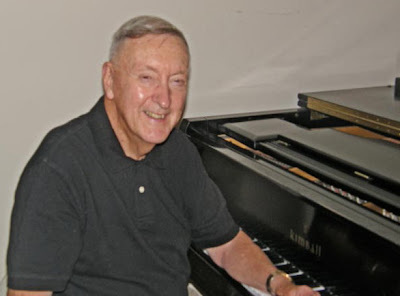 In 1995 he founded a singing group, “Mike Dempsey & Friends.” In addition to writing the script and arranging the music, Mike serves as pianist. This small group has performed composer-theme musicals throughout Southeastern Michigan. Later in September Mike and one of his singers will be paying tribute to Judy Garland with an evening of her songs at Oakland University. He would like to bring his Garland show to the Soo Theatre in 2010. As a published composer he is a member of ASCAP. Recently, he was chosen to accompany Tony award-winner Anna Maria Alberghetti in a Detroit area performance. He is delighted to return to his hometown and the Soo Theatre, where he has many happy memories. Anyone who has lived in Sault Ste. Marie for a few decades may recall Mike’s parents, Athaleen & Tom, and brother Patrick (Sault High 1959). 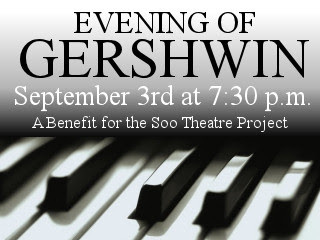 All of this fine talent is being donated as a generous fund-raiser for the Soo Theatre Project, Inc. STP's Board of Directors and staff invite the community, its residents, and its visitors to come and enjoy the beautiful Gershwin songs. Tickets are available at the Soo Theatre Box Office at 534 Ashmun Street, Sault Ste. Marie, Michigan. Stop by or call (906) 632-1930. Tickets are $15 for adults, $12 for seniors and students, $5 for kids 12 and under. Group discounts are available. 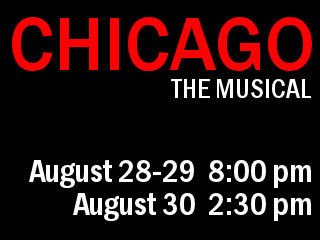 Soo Theatre Project is pleased to welcome the EUP Fine Arts Council production of the Tony-Award-winning Broadway musical Chicago August 28, 29, and 30 following its successful run at their home theatre in DeTour. This is the fourth time EUP Fine Arts Council has brought their productions to the Soo Theatre stage. Chicago is directed by David Rhinard, produced by Cindy Verruso and Susie Rhinard, music director Karen Hughes, and choreographed by Sherry Bailey. There are many familiar faces filling this performance of Chicago from all over the EUP and Ontario. Sault Ste. Marie, Ontario resident Rachelle Deresti will be playing the piano for the Soo Theatre presentation of Chicago. Deresti is the music director at the Little Stone Church on Mackinac Island and teaches at the Algoma Conservatory in the winter months. Deresti was the pianist for Soo Theatre’s 2007 summer production of Annie. Rachelle earned her performance degree in piano from the University of Toronto. Karen Hughes is Little Mary Sunshine who plays her role primarily from the bandstand where she does her news reporting as well as keyboard playing. Hughes originally prepared the singers in musical rehearsals and is excited to see the progress of so many of the performers in the cast. Jesse Strieter, the amazing and talented 16-year old from Pickford leads the rhythm section of the band. Jesse is no stranger to the Soo Theatre having been in It's a Grand Night for Singing, Die Fledermaus, and Oliver. Trisha Wells plays Mona, one of the murderesses on the cell block. Casey Strieter, the beloved Bet in Oliver, takes on her first stage managing role and keeps things organized backstage and onstage. Director Dave Rhinard appears as the debonair lawyer, Billy Flynn. He will 'razzle dazzle' you as he aids the girls in the pursuit of their innocence. Nick and Julia Meier, seen on the Soo Theatre stage in South Pacific, add strong performances to the cast with their portrayals of Amos Hart - "Cellophane" and Mama Morton - "When you're good to Mama". Chicago at the Soo Theatre is Friday, August 28th and Saturday, August 29th at 8:00 pm and Sunday, August 30th at 2:30 pm. Tickets are $16.00 for adults, $15.00 for seniors (62 and up), $8.00 for students (High School & College undergrads ID). Discounts for pre-paid groups are $1.00 off each for groups of 25 or more, $2.00 off each for groups of 50 or more, and $3.00 off each for 75 or more. For further information contact the Soo Theatre Project at (906) 632-1930 or www.sootheatre.org. Soo Theatre Project 534 Ashmun Street, Sault Ste. Marie, Michigan. Soo Theatre does advise that Chicago is not suitable for elementary students. Come, join, and support the Soo Theatre Project! Soo Theatre/STARS is pleased to announce the expansion of its dance program with a new studio across the street from STARS. The north side of Austin’s Oak at 539 Ashmun has been transformed into a large, modern dance space known as STARS studio E. This additional instructional space allows STARS to increase its offerings to 45 dance classes. In addition to a full program of movement, pre-ballet, and ballet classes, STARS will be offering tap, lyrical, jazz, modern, hip hop, acrobatics, ballroom and Scottish Country Dance. Joining Dianna George, Director of dance, will be dance instructors Courtney Bailey, Caroline Behling, Lea Cilluffo, and Martina Vollman. Fall classes in music include Tunes for Toddlers, Elementary Musical Theater, Voice Performance Class, and Beginning Piano Classes. Private lessons are available in violin, viola, cello, harp, piano, voice, flute, clarinet, and brass instruments. Performing groups set to meet are Youth Chorus for middle and high school students, Intermediate and Senior Youth Orchestras, Flute Choir, “Not Quite Ready for Prime Time” string ensemble, and Recorder Consort. Acting, Handmade Book Workshops, and Creative Writing offer opportunities for young people to explore their creative side. Yoga classes for teens and adults will meet at morning, lunchtime, and evening times. A new class, Chair Yoga, is designed for seniors and other adults with limited mobility. Registration is open now for the 14-week fall term which begins Sept. 14. Registrations are taken in person at the Soo Theatre/STARS office, 534 Ashmun St., weekdays 10 am to 6 pm.Brochures listing class times and tuition fees are available at STARS or on the web at sootheatre.org. For more information, call 632-1930 or visit the website, www.sootheatre.org. Soo Theatre Project presents Guitar Studio Rock Camp, Tuesday, August 18, 2009 at 7:00 pm. This all student show is presented by Rock Camp Director, guitar, and bass instructor Joey Beairl. Beairl was assisted by drum instructor, Mike Vollman. Joey’s wife, Amy helped with vocals and other band advice. This is a performance of the students involved with Guitar Studio Rock Camp. Performing on Soo Theatre’s stage is a wonderful experience for these up and coming performers. The students work together to pick their band name and their song list. They learn their parts in lessons and attend weekly rehearsals starting in June. The first two summers of Rock Camp led to one performance for each of the bands. Because these were successful, and the students were ready to handle more, additional venues were sought, resulting eventually in five performances each summer. Summer 2009 provided 4 brand new venues including the Chippewa County Relay for Life, Mackinaw City Crossings, Soo Theatre Project, Family Day at the Satisfied Frog, and a Rock Camp road trip to Foggy’s in Christmas. Three bands will be performing on Tuesday, August 18, Unleashed, 747, and Intrepid. Unleashed: Isaac Terrian, vocals; Eli Reilly, guitar; Maddy Lamma, bass; Chris VerHaagh, drums. 747: Mike Pascoe, guitar and vocals; Tyler Wall, guitar; Jack Slater, bass; Joe North, drums. Intrepid: Donnie Hank, guitar; Nick Pavlat, guitar; Mitch Goetz, bass and vocals; Kenny Schirer, drums. Come, support, and join in the fun on Tuesday, August 18th at 7:00 pm. Admission at the door is $5.00. Guitar Studio students with proper identification are free. Further information contact Soo Theatre Project (906) 632-1930 or online at www.sootheatre.org. The Soo Theatre Project is located on 534 Ashmun Street in downtown Sault Ste. Marie, Michigan. Chorus members and Guglielmo (John Arnold) at the movies in the Soo Theatre Project's production of Così fan tutte. Soo Theatre Project presents Così fan tutte also known as Women Are Like That. This comic opera performed in English is by W.A. Mozart. Così fan tutte is directed and produced by Karen Hughes and Soo, Ontario’s Timothy Murphy. Cedarville’s music man Alan Jacobus will be conducting an array of local talent in the 22-person orchestra. The six principal characters are Karen Hughes Beacom as Fiordiligi, Trisha Wells as Dorabella, John Arnold as Guglielmo, Christopher Hollingsworth as Ferrando, Rosemary Hollingsworth as Despina, and Bradley Williard as Don Alfonso. For more information about the principals, see our previous post. Also on stage will be an all-local chorus. Two weeks ago you may have seen most of the chorus members performing at Soo Theatre’s Vocal Gala. Così fan tutte is set in present day Sault Ste. Marie, where two Coast Guard men, Guglielmo and Ferrando, are tricked into a bet by the crafty Don Alfonso. He bets them that their faithful fiancées, Fiordiligi and Dorabella, are fickle, like all women are. The bet is set for the men to be called off to duty and return disguised as Canadian hockey players. The sisters Fiordiligi and Dorabella are given the bad news about their men; the four have a heartfelt farewell and are left without their men. Don Alfonso is afraid that Despina, the sisters’ chambermaid, will see past Guglielmo and Fernando’s disguise so he bribes her into helping him win the bet. The sisters meet the two Canadian hockey players who instantly begin courting them, but resist because they are faithful to their fiancées. The Canadian hockey players do not give up and think of many crafty ways to win Fiordiligi and Dorabella’s affection with the help of Don Alfonso and Despina. All the while the sisters are struggling not to fall for these new men. The hockey players end up winning the affection of the sisters, but what happens when Guglielmo and Ferrando come back from war and notice their women have fallen for two other men? Come to Soo Theatre Project Thursday and Friday, August 6 and 7 at 7:30pm and/or Sunday, August 9 at 2:00 pm to find out what happens to these couples. Così fan tutte is performed in English and is set to happen in one day’s time. This comedic opera will have you falling over in your seat with laughter while at the same time have you wooed by the lovely vocal abilities of these professional singers. Admission for Thursday and Friday, August 6th and 7th at 7:30 pm is $18 for adults, $16 in advance for adults, $16 for seniors, $10 for students, and $5 for children. Sunday, August 9th at 2:00 pm is $15 for adults, $13 in advance for adults, $13 for seniors, $10 for students, and $5 for children. Soo Theatre’s office hours are Monday – Thursday 10 – 6 and Friday 10 – 4. Any questions please call (906) 632-1930 or visit their website at www.sootheatre.org. Please come, support, and join Soo Theatre Project! The cast of Così fan tutte was in full swing at a recent Soo Opera Theatre fundraiser: (front row, L-R) John Arnold, Trisha Wells, and Bradley Williard; and (back row, L-R) Christopher Hollingsworth, Karen Hughes Beacom, and Rosemary Hollingsworth. The cast of Così fan tutte has arrived at the Soo Theatre and rehearsals are in full swing! No less than six professional opera singers will grace the Soo Theatre stage in Mozart’s comic opera, which will be performed in English on August 6, 7, and 9. This two-act comedy will have you rolling with laughter while being blown away by the astounding vocal abilities of these six professional performers. This year’s featured performers come from around the United States and right here in Sault Ste. Marie. New York Bass Baritone Bradley Williard (Don Alfonso) joins the Soo Theatre Project for the first time with his comic rendition of the master of ceremonies. Soprano Rosemary Hollingsworth makes her third appearance at Soo Theatre this season as Despina, the charming and somewhat devious chambermaid to the sisters Fiordiligi and Dorabella. Hollingsworth appeared as the lovable chambermaid Adele in last season’s Soo Theatre production of Die Fledermaus. Baritone John Arnold, as Guglielmo, comes to us from Atlanta, Georgia. Arnold was Count Almaviva in Italy last summer singing opposite soprano Karen Hughes Beacom as Countess Almaviva in The Marriage of Figaro. Illinois State University Department Chair and tenor Chris Hollingsworth (Ferrando) made his debut with the Theatre last season as the featured tenor in A Grand Night for Singing. Resident artists Karen Hughes Beacom and Trisha Wells will be playing the roles of Fiordiligi and Dorabella, the two sisters who are put to the test by the cynic, Don Alfonso. Wells recently “wowed” audiences as the fiery Nancy in Soo Theatre’s production of Oliver! Così fan tutte is being directed and produced by Soo Theatre’s own Karen Hughes Beacom and Canadian resident Timothy Murphy. Alan Jacobus of Cedarville is the conductor of the Così fan tutte orchestra. The members of this 22-person orchestra all reside locally, hailing from the Eastern Upper Peninsula and Canada. This performance also includes a chorus of EUP and Canadian residents. Do not miss this comic opera being performed in English. On Thursday, August 6th and Friday, August 7th at 7:30 pm admission is $18 for adults and $16 in advance. On Sunday, August 9th at 2:00 pm admission is $15 for adults and $13 in advance. Student, senior, and group discounts for all shows are available at the Soo Theatre Project. Their hours are Monday through Thursday 10 am to 6 pm and Friday 10 am to 4 pm. Soo Theatre Project is located at 534 Ashmun Street in Sault Ste. Marie, Michigan. For tickets and information, call (906) 632-1930.